The Swiss telecommunications provider Sunrise, has just announced its new partnership deal with Google Cloud. With this strategic partnership, Sunrise will be expanding its cloud capabilities with Google as well as, becoming a G-Suite reseller to its customers. The deal is expected to takeoff in April 2019. Sunrise will then make G-Suite available on its Unlimited Mobile Workplace solutions, such that their customers can benefit from the robust, mobile and flexible work options. G-Suite is an integrated cloud-based collaboration and productivity apps suite which is provided by Google. The products and services offered on this Google platform include Gmail, Google Calendar, Google Drive, Hangouts, Google Docs, Sheets, Slides, and Forms. According to Sunrise, These Google cloud-based apps supplement perfectly; the Sunrise B2B solution because, they enable Sunrise business customers to work spontaneously, across companies, anywhere and using various devices. “In the Work Smart product area, we continuously monitor the market so that we can offer our customers the best workplace solutions. We will be joining Google as a reselling partner for the innovative G Suite solution in April. With G Suite, we will be able to provide our customers with an app ecosystem that fits in perfectly with our Unlimited Mobile Workplace strategy. We look forward to a successful and exciting future with Google,” added Oliver Spring, Director of B2B Product & Alliances at Sunrise. On the other hand, Christian Sciullo, Country Manager of Google Cloud Switzerland / Austria, expressed satisfaction and prospect in the partnership deal. “The cloud has become an integral element of everyday business, with over 5 million customers worldwide using our G Suite products. 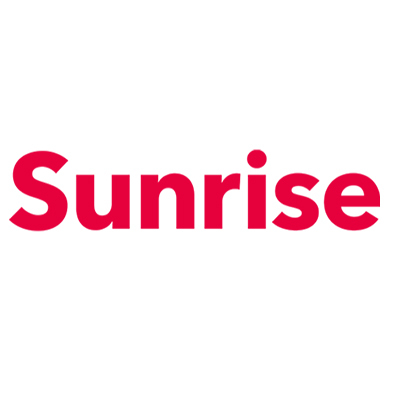 We rely heavily on partnerships to better serve our business customers in Switzerland, and we are therefore looking forward to working with Sunrise,” said Sciullo. Just as this deal is beneficial to both parties, it also reiterate the objective of the new Google cloud CEO Thomas Kurian, where he stated that more collaborative strategies will be seen from Google in order to gain more share of the cloud market. “You’ll see us competing much more aggressively as we go forward,” the CEO clearly puts it.